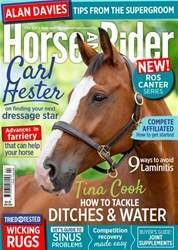 February Horse&Rider is out now! 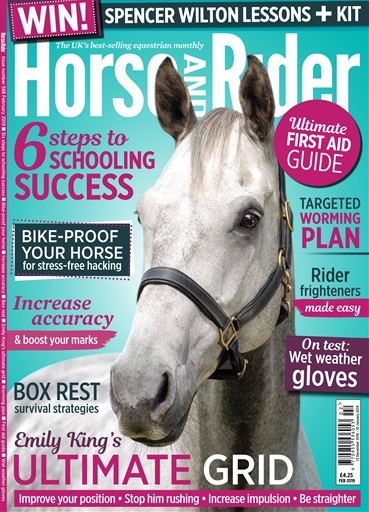 It's full of riding exercises, expert advice and great prizes, just for you. 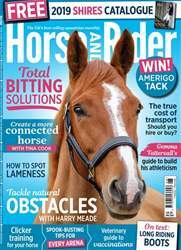 Inside you’ll find expert advice from Gareth Hughes on his simple training strategy, Emily King shows you how to get the most out of one jumping grid and we take a look at targeted worming plans. 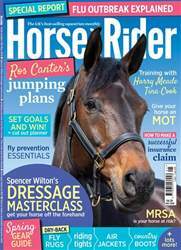 Plus, there are more great groundwork exercises to practise from Rebecca Howard, Nick Gauntlett shows you how to tackle ditches and we take your tricky insurance questions to industry experts. Don’t miss out on the chance to win lessons with Spencer Wilson – download your copy of February Horse&Rider, today!